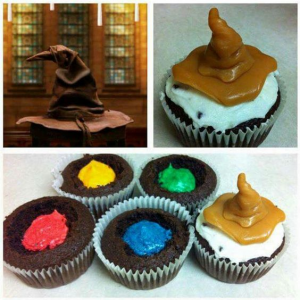 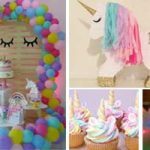 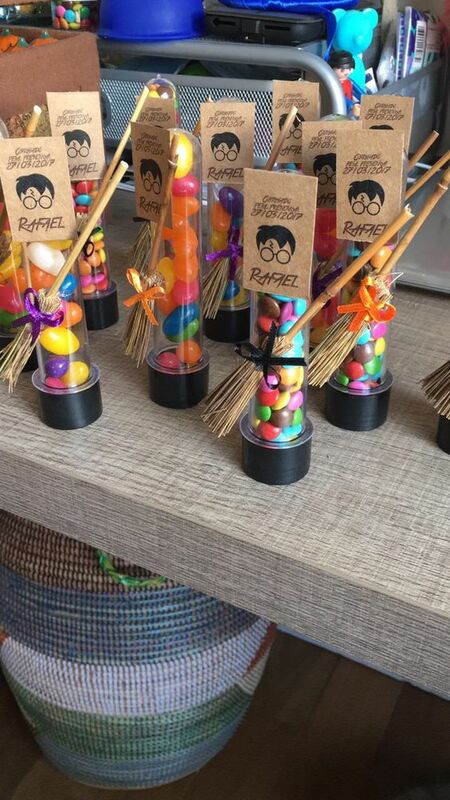 If you are planning a Hogwarts themed bash then take some inspiration from these Harry Potter Party Ideas. 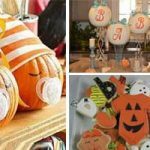 You can source a lot of props from the dollar store for many of these looks. 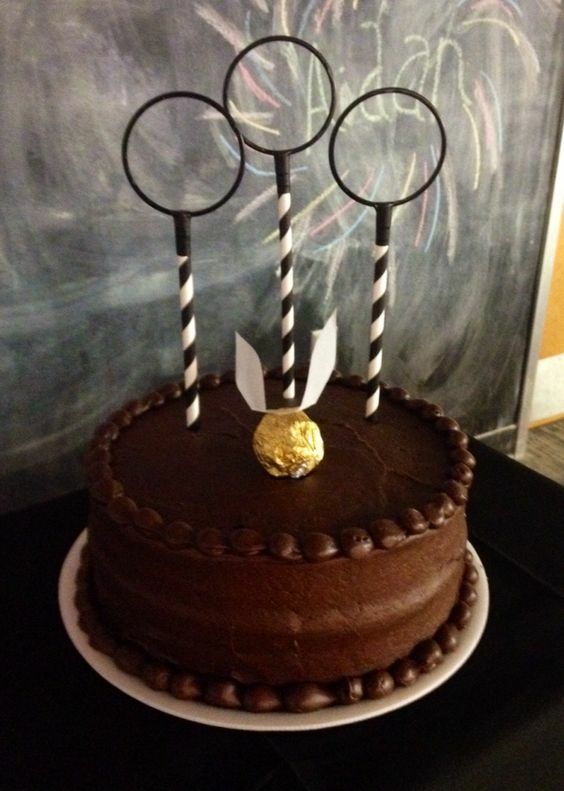 A chocolate cake is easily turned into a cake fit for Hogwarts with three paper straws attached t three rings. 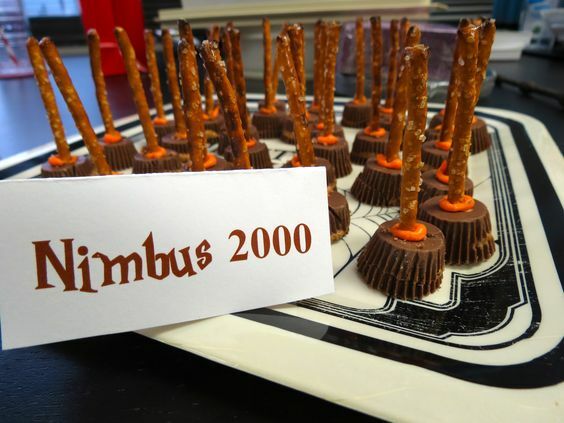 Make some edible brooms brooms for a Harry Potter themed party with mini Reeses cups, orange frosting, and pretzel sticks. 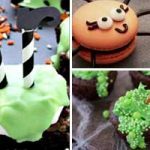 Purchase some plastic containers and fill with treats. 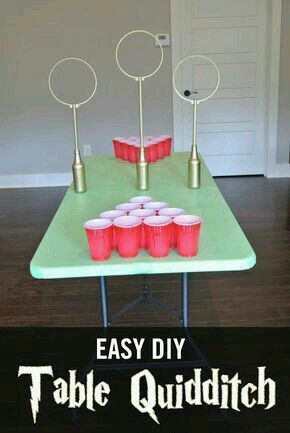 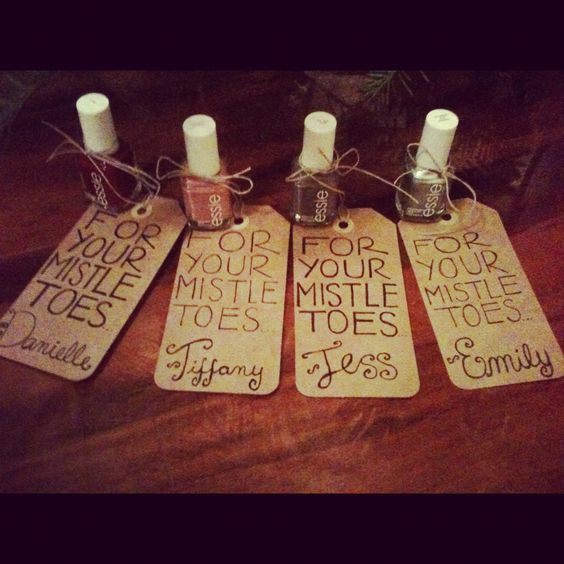 On card stock add a Harry Potter label and attach a mini broom which you can either make or purchase online. 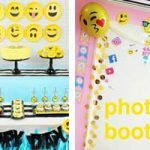 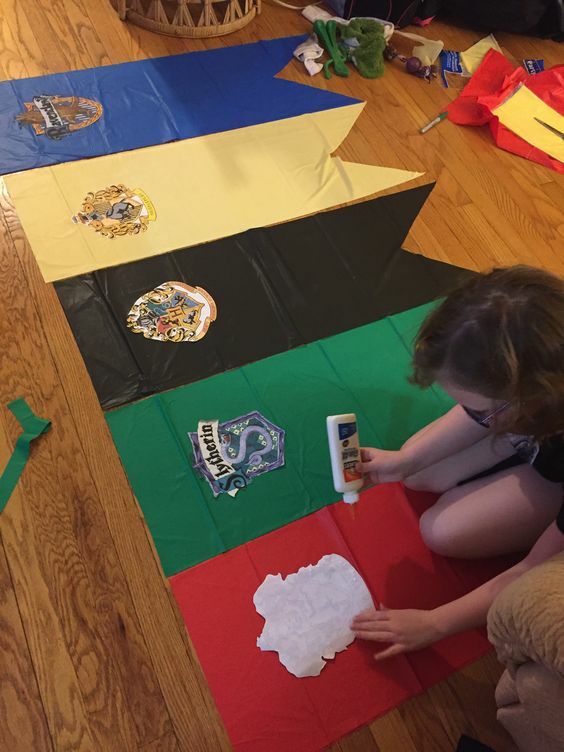 Make these awesome Harry Potter House Banners with table cloths from the Dollar Store and print out logos. 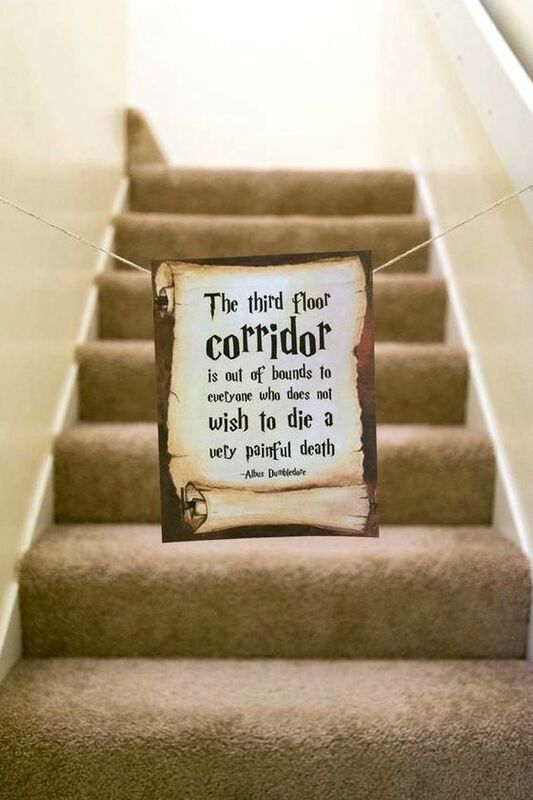 Stop party goers from going places they shouldn’t with this clever sign. 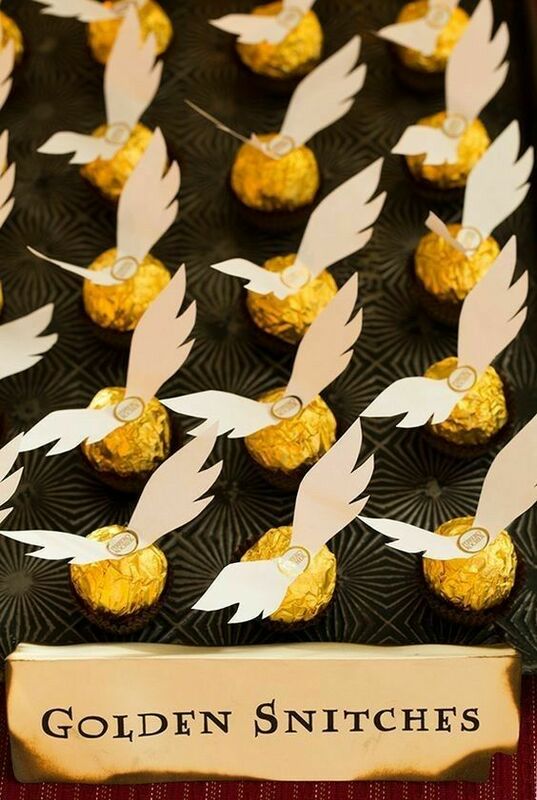 Use chocolate candies such as Ferrero Rocher and paper wings to make a whole tray of golden snitches. 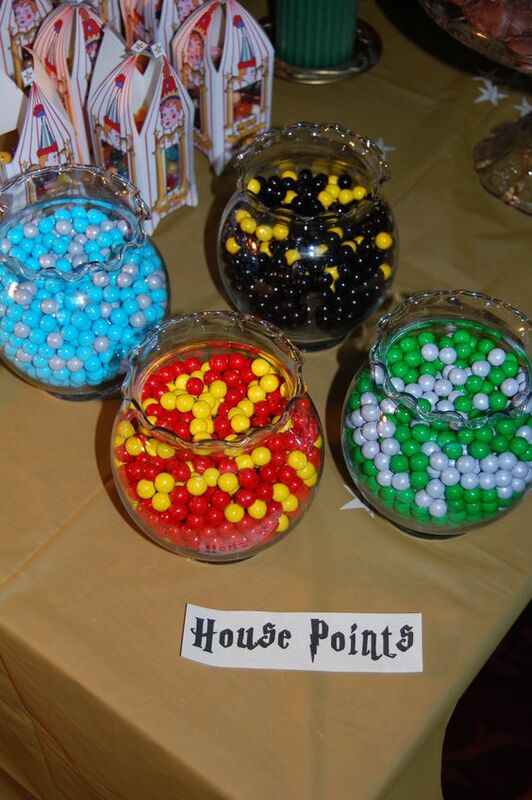 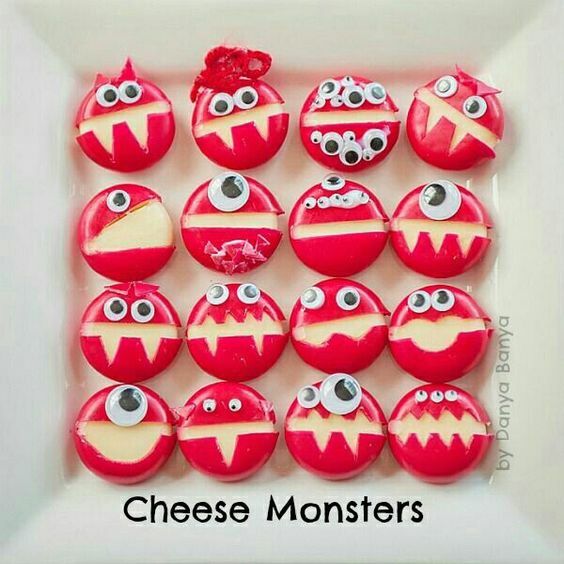 Use different colored bubble gum or m&ms and to create these “house points”.